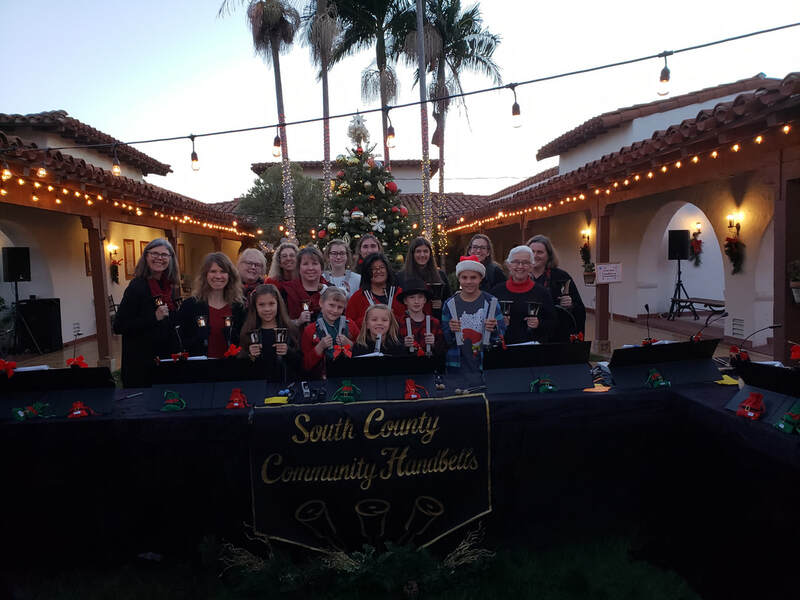 The South County Community Handbell Choir consists of handbell enthusiasts from southern Orange County, California that love to ring and wish to share handbell music with the surrounding communities. The Choir began in November 2011 and has performed at care facilities, the 2011 San Clemente Choral Society Christmas Concert, 2012 - 2017 San Clemente's Casa Romantica Christmas activities, and has lead seven Community Handbell Concerts for the benefit of San Clemente's Family Assistance Ministries. The seven concerts and our projects for FAM have raised over $14,000 for FAM. We have sponsored The Great Christmas Ring at the Outlets the last 2 years. The Adult Choir currently has ten (10) active ringers, and plays four and one-half (4 1/2) octaves of Schulmerich Handbells and three (3) octaves of Malmark Choirchimes. We practice on Monday nights from 5:45 pm to 7:00 pm. We are looking for additional handbell enthusiasts/musicians to join the Choir. If you are a musician, but have never rung handbells, we can teach you the instrument. If you are interested please use our contact page and we will contact you. In January 2015, the community youth handbell choir was started. 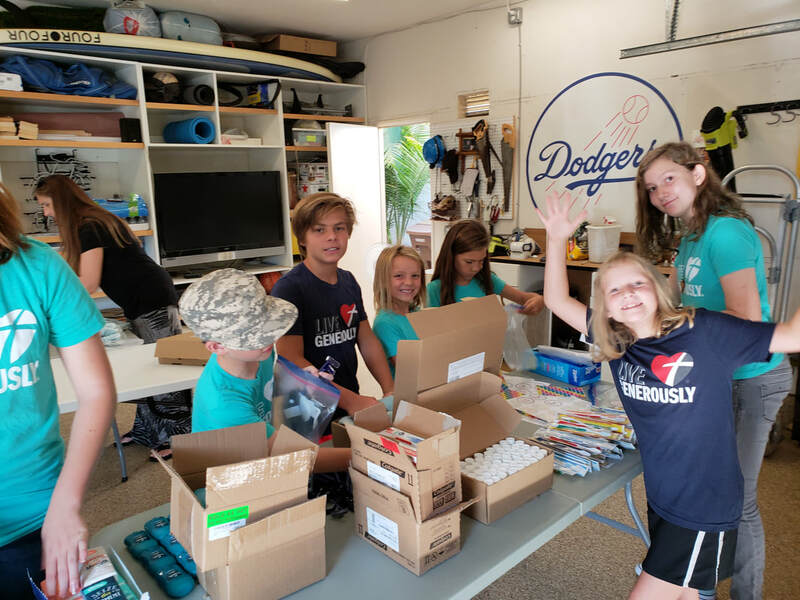 It is open to youth 8 years old or older. Currently we have 9 energetic ringers in the Heavy Metal Youth Handbell Choir. We practice on Friday afternoons. There are no prerequisites to join this group If you are interested in joining this group, please use our contact page.